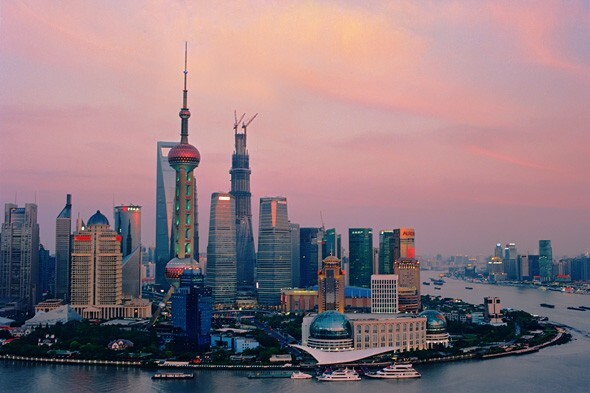 Shanghai is China's business behemoth. A neon-splattered, sky scraping metropolis with one of the world's busiest ports and a hustling, bustling. booming population of over 23 million. Time-lapse film maker Rob Whitworth shows us an eagle-eye view of the vibrant city, from aerial architectural panoramas to close up peaks of local life in the markets and streets. Would you give Shanghai a try? Tell us below. Or have a go at spotting more cites from the sky with our gallery. Name the city from the sky! Australia's famous harbour city is renowned for its gorgeous harbour, outdoor lifestyle and natural beauty. In Sydney, there are more than 70 beaches to choose from, food inspired by the flavours of Southeast Asia and plenty of ways to get active, including kayaking under Sydney Harbour Bridge and climbing it! The city of Bath is famous for its ancient Roman Baths, elegant Pulteney Bridge, awe-inspiring Georgian architecture and Bath Abbey. The literary hotspot was where author Jane Austen lived between 1801 and 1806 and set two of her published novels. Explore the city for its great shopping, dining and spas. Las Vegas, or Sin City, is the entertainment capital of the world, and offers visitors everything from world-renowned restaurants, casinos, luxury hotels and risqué nightlife! Popular for its anything-goes attitude, Vegas is a hotspot for party travellers, stag and hen parties, and just about anyone after a glitzy American city break. A hub for culture, art and dynamic architecture, Bilbao is where you'll find the quirky Bilbao Guggenheim Museum, the Euskalduna Conference and Music Centre, Norman Foster's Underground, Calatrava's airport and towers designed by architects Arata Isozaki and César Pell. It is surrounded by forests, mountains and steep coasts, yet it is the biggest and busiest city of the Basque Country. London's ever-changing skyline has a new addition in the form of The Shard. The dramatic structure is 1,016ft high and is the second tallest building in Europe, after Moscow's Mercury City Tower. Other famous landmarks you may spot from the sky when flying, include Tower Bridge, the River Thames and Canary Wharf. Located on the banks of the Danube River, Budapest is an architectural paradise, with its baroque, art nouveau, neoclassical and eclectic buildings. Its attractions include parks, museums, pleasure boats and of course, the famous steaming thermal baths, which are popular among locals and tourists. Historic Venice is located in northeast Italy and is characterised by its canals, bridges, romance and art. The entire city is a UNESCO World Heritage Site and its most popular attractions include St Mark's Square, Rialto Bridge and Basilica di Santa Maria della Salute. New York City is the cultural capital of the world and probably the most famous city on earth. Holidaymakers from all over the planet visit the Big Apple for its fashion, art, entertainment and technology. Its most iconic attractions include the Empire State Building and the Statue of Liberty. Dubai is all about the skyscrapers, luxury hotels and year-round heat. Home to the tallest building in the world, Burj Khalifa, the world's largest shopping mall, Dubai Mall, and the biggest artificial islands on the planet, the Palm Islands, Dubai knows exactly how to break records! Chic, romantic Paris is where you'll find charming cobbled streets, the epic Eiffel Tower, fabulous wine and the beautiful Sacré-Cœur. Wander the city's streets stopping at the quaint bakeries, wonderful designer boutiques, fresh markets and pretty parks.